Andrew Suarez pitched into the eighth inning on Monday against the Padres, allowing only two runs on four hits. He struck out four and walked three and earned the win. Suarez had a good outing after struggling his previous two starts. 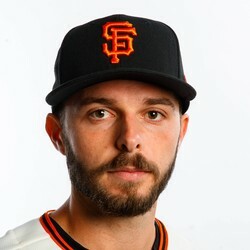 His next start could be this weekend against the Dodgers so he is not someone to add to your roster to win a head-to-head playoff matchup or improve your pitching stats down the stretch in a rotisserie league.